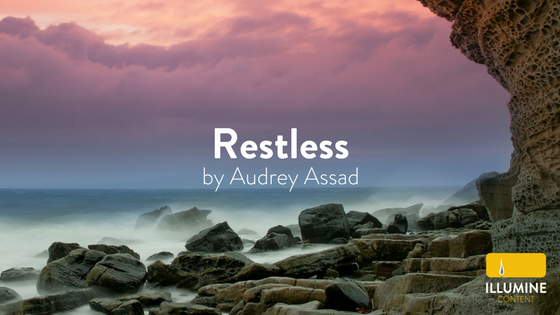 Audrey Assad and Matt Maher do an excellent job putting into words a feeling that many (if not all) of us can relate to: restlessness. This is not simply a restlessness that comes from boredom, a lack of adventure, not being able to fall asleep at night, or any similar situations. This is a restlessness that comes when we understand that no part of this world can satisfy us. Only God and his word can give us the rest we seek. The verses have a bit of an uneasiness to them. They describe our frailty, our hopelessness, and our helplessness. The chorus comes like a flood of relief. God is where we find our rest, despite our frailty. The bridge is where this song really shines. A prayer asking for the Lord to build us up, because we know nothing in this world can do it, only he can. “Restless” points us to the purpose of worship, to find rest and be built up by the promises of God through his word. Therefore, it works in just about any worship service. I like using it either as an opener (to focus the congregation on the point of worship) or as a closer (to send the people out with a reminder of how they have been strengthened through worship). The melody does not contain any tricky rhythms or difficult to sing passages, so teaching it to a congregation can be done with relative ease.